Penistone Grammar School is a large 11-19 maintained school with over 1,600 students situated within Barnsley Local Authority, at the heart of South Yorkshire. We are a non-selective comprehensive school (“Grammar” in name only) with a strong ethos of inclusivity and aspiration underpinning all that we do. As our Post-16 Centre is attached to a highly successful school which consistently delivers excellent GCSE outcomes, our student intake for A Level is generally one with high average GCSE point scores on entry. The challenge for the Post-16 Centre therefore, is to ensure that all our students not only continue to make good progress, but that they excel, securing the best possible outcomes at A Level. This includes those students who arrive with the very highest of average GCSE grades. Through the hard work and dedication of both our staff and students last year (2018), we achieved an ALPS T Score of 1; a truly exceptional performance and something of which we are all immensely proud. Our success, in part, is attributed to our diagnostic use of Alps Connect Interactive with all interested parties, from staff and students, right through to parents and carers. We have used Alps as a tracking tool for several years, but with the emergence of Connect Interactive, we can engage meaningfully with the data provided by our staff. This has enabled us to identify students who need support at an early stage, allowing us to provide effective and timely intervention and eradicating sustained under-performance that will become a limiting factor in a student’s outcomes. As soon as the predictions from staff have been uploaded, Connect Interactive facilitates analysis of the data on three levels: overall (used to inform strategic actions by Senior Leaders and for reporting purposes to Governors); departmentally (signposting areas of focus for Subject Leaders); and individually (significant in the identification of and support for specific students). We have found that by using the departmental analysis data within Connect Interactive, including the excellent ‘What If’ tool, we have been able to embed purposeful and relevant conversations about student progress with Subject Leaders at the core of every meeting. This has led to individualised intervention and support packages being put in place, both at department level and for specific students. The ability to be able to analyse data for groups of students has allowed us not only to focus on those cohorts who might need extra support, but critically in our context, identify where additional resources and concentrated stretch and challenge will tailor learning. This means that those students with the top average GCSE points scores have the ability, confidence and self-belief to strive for progress that is nothing less than exceptional. Driven by the Assistant Principal for Post-16, there is a tangible confidence in Alps Connect Interactive at Penistone Grammar School that extends beyond the Strategic Leadership Team to the wider staff body. All A Level teachers have their own log-in for the system and have received training on how to use the software. At a forensic level, Connect Interactive is pivotal in effective line management between Strategic and Subject Leaders following each data entry point. 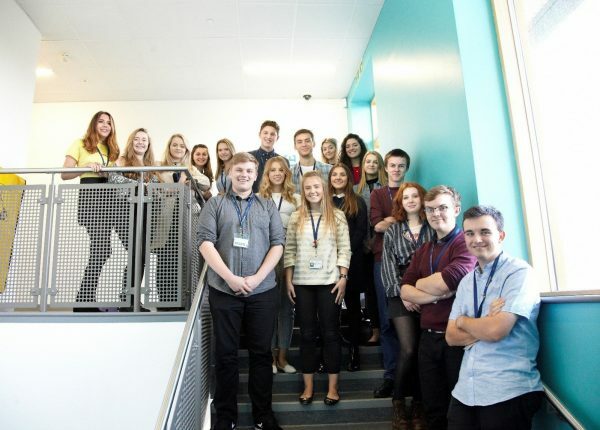 Initially the focus around Connect Interactive was led by the SLT Line Manager working with the Subject Leader, but as staff have become more confident and competent in its use, it is now an instrumental tool that staff at classroom level use independently for identifying those students who require extra support throughout the year. The impact of this is that we have ‘real-time’, active analysis with rapid intervention, rather than, as we experienced before, a 6 week turnaround for data to be collected, processed and analysed into some useable format. Connect Interactive is also used effectively across the Post-16 Centre to underpin all conversations with students and parents, and to provide a solid evidence base from which we can provide context for any subsequent, appropriate and proportionate actions. At Penistone Post-16 Centre we believe in a culture of independence, and we foster this in all our students. This means that students are encouraged to take ownership of their own learning and progress. We have found that this is most effective when students use the data to understand exactly where their target grade has come from and appreciate what is possible with hard work and a determination to succeed. We follow up this initial work by sharing more detailed information from Connect Interactive with any students identified for additional support at our Raising Achievement Panel Meetings (RAP). Through the RAP process, staff work collaboratively with students and parents to identify barriers to progress and to put in place strategies to overcome them. We find this collaborative approach engenders a different sense of responsibility in the process and an increased level of accountability for the actions agreed as a result. The follow-up is key, and our Alps analysis is vital in measuring the impact of any interventions that have been put in place. Put simply, Alps Connect Interactive has become everyday practice at Penistone Grammar School; it is part of our language. We would highly recommend the use of Connect Interactive as a diagnostic tool to drive continuous improvement for all students, but particularly for those who join your Post-16 Centre with very high average GCSE points scores. Working together, with the student at the centre of all we do, we have been able to provide an enriching experience that means success for our students is inevitable. If you would like any further information, please contact one of our expert advisers. "Alps Connect Interactive has become everyday practice at Penistone Grammar School; it is part of our language. We would highly recommend the use of Connect Interactive as a diagnostic tool to drive continuous improvement for all students." Subscribe to our mailing list and get regular updates direct to your inbox! Subscribe to our mailing list by completing the form below. You will receive our monthly newsletter and the latest updates from our team on Alps products and services. Welcome aboard! Note: You are free to unsubscribe from receiving emails at any point by simply clicking the unsubscribe link in any of our emails.